The German Football Federation (DFB) has announced on Tuesday the renewal of the contract of its absolute coach Joachim Löw, who has signed a new contract until 2022. The announcement was made by the president of the DFB Reinhard Grindel, just before Löw announced the provisional call for the World Cup in Russia. With this, the DFB maintains its policy of sending the coach to a tournament, giving him a show of confidence beforehand. 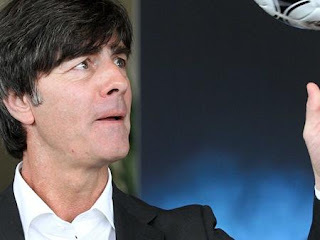 To fulfill his new contract, Löw would be in the next Eurocopa and the World Cup in Qatar. Löw worked as an assistant to Jürgen Klinsmann until he was promoted to the post of coach after the 2006 World Cup. During his career at the head of the 'Mannschaft', his greatest success is the triumph at the 2014 World Cup and his greatest guarantee is regularity, who has always managed to finish among the four best in all the major tournaments he has played. Thus, he reached the final of Euro 2008, where he lost to Spain, and the semifinals of the 2010 World Cup and the Euro Cup 2012 and 2016. In addition, last year won the Confederations Cup and from next month his challenge will be to bring to Germany to his fifth world title in Russia. In addition, the DFB has also renewed until the World Cup in Qatar its assistants Thomas Schneider and goalkeeping coach Andreas Koepke, as it has extended until 2024 the contract of the director general of the selection, Oliver Bierhoff. At the time that the news of the renewal of the coach was known, he announced that he has called the goal and captain Manuel Neuer, although he has been out for more than eight months due to a foot injury, and has left out Mario Götze, author of the goal in the final of Brazil 2014, in the provisional list of players for the World Cup of Russia 2018. Löw included four goalkeepers in the provisional call -including Barça's Marc André ter Stegen who has been a starter in recent games- and the plan is to observe the evolution of Neuer, who has already returned to training, before giving the final list of 23 players on June 4. The big surprise of the 26-man squad is the inclusion of Freiburg forward Nils Petersen, to the detriment of Sandro Wagner who was in almost every pool. Among the absences is the one of Mario Götze, author of the goal of the victory of Germany in the final of the last World Cup against Argentina, Götze has not had a good year, after having recovered from a metabolic disease that had him a whole season away from the courts. "We want to thank him for the trust placed in us, which also implies the obligation to remain among the best in the world," Löw said directly to Grindel. "Personally, I enjoy working with so many talented people," he added. Löw had a contract until after Euro-2020, but Grindel had already expressed his desire to expand it regardless of the result of the Mannschaft in Russia next month. "Working together with Andy Köpke, Thomas Schneider, Marcus Sorg, Oliver Bierhoff and all our team behind the team with the best players from Germany, to develop and improve them even more, to form a team that goes for the highest goals in the football: that drives me and gives me great joy, especially in these days, I feel a great desire for the next World Cup in Russia and the intense weeks with the team.This tournament is now my concentration.I would like to thank the president Reinhard Grindel, General Secretary Friedrich Curtius and the entire DFB for their support and trust in us and in our work," said Löw.